Interestingly enough, wine has been the best-performing asset over the past 12 months among luxury assets, according to the Knight Frank Luxury Investment Index. 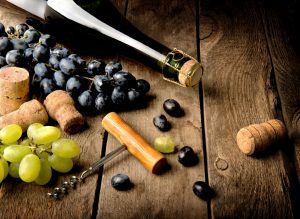 Wine showed an average 25 percent gain in value over the past year, far surpassing the return on more typical luxury items such as jewelry and art. Wine has even now replaced classic cars as the top collectible. Strength in Bordeaux, Burgundy and Northern Italian wines have led the surge with value up over 25 percent just this year and a staggering 61 percent over the past five years. Strong economies in the United States, Europe and Asia have also contributed to the strong surge.